The free plan lets you add a total of 100 cards (notes, images, links, etc. ). 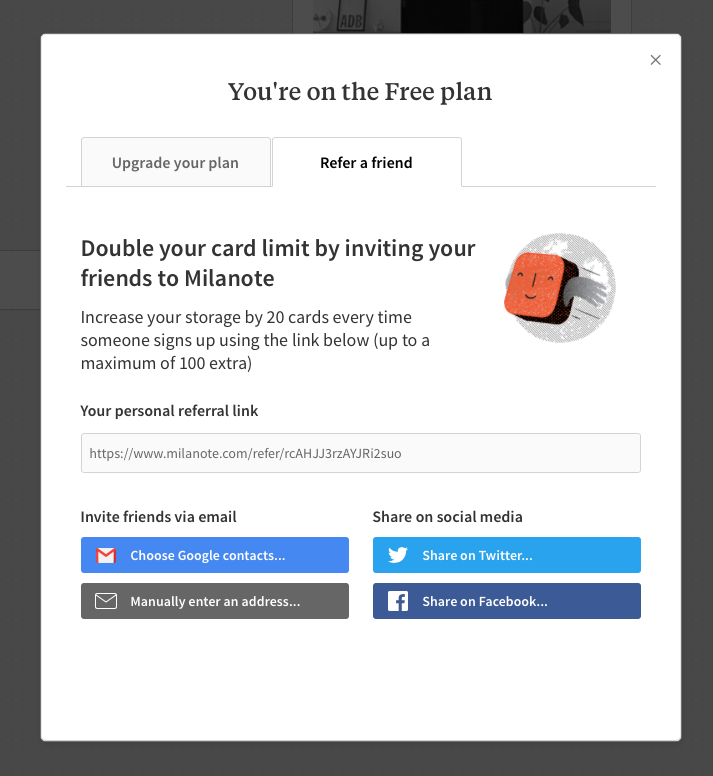 But you can get an extra 100 cards by inviting your friends to Milanote.